The commonly accepted dates for the Vietnam conflict are 1954 to 1975. Most of the military fighting occurred between 1957 and 1973. Because Congress never officially passed a vote to declare a war, the United States was never technically at war with North Vietnam. Vietnam was divided as the result of a treaty ending the Korean War. According to the original provision, it was to be re-unified a couple of years later. However, Dwight D. Eisenhower helped the southern half of the country organize into a new nation. Anti-Communist South Vietnam, backed by the United States, engaged in a military confrontation with communist North Vietnam until 1973, when the United States withdrew its troops. Two years later, Vietnam re-unified under communist rule. Where was the Vietnam War fought? The Vietnam War took place within the region of Southeast Asia east of Thailand and south of China formerly known as Indochina, which is now comprised of the countries of Vietnam, Laos and Cambodia. Most of the fighting occurred within the country that was then known as South Vietnam, but the conflict spilled over into the neighboring countries of Laos and Cambodia to the west. Aerial bombing raids were also conducted over the area that was, at the time of the fighting, a separate country called North Vietnam. The Vietnam War is also known as the Second Indochina War in order to distinguish it from the previous war waged by the indigenous population against the French when the region was a French colony. The war with France ended in a defeat for the French at the Battle of Dien Bien Phu in May of 1954 and the area is formerly known as Indochina became the independent countries of Vietnam, Laos, and Cambodia. Vietnam was partitioned at the 17th parallel by the accords of the 1954 Geneva Convention and became the two countries that were commonly referred to as North Vietnam and South Vietnam. An organized communist insurgency against the then western-leaning government of South Vietnam brought the United States into the conflict. Troops from North Vietnam joined the fight in support of the insurgents, which led to increased U.S. military escalation and bombing raids over North Vietnam. North Vietnamese supply routes into the battle zones that crossed through Laos and Cambodia soon brought those regions into the conflict. What was the purpose of the Vietnam War? The Vietnam War was fought to determine which political regime would gain control of the country and reunify it after French occupation. France backed Emperor Bao Dai in South Vietnam, while the majority of Vietnamese citizens supported Ho Chi Minh in the northern Democratic Republic of Vietnam. After the French defeat of 1954, the resultant treaty proposed a 1956 nationwide election to unify Vietnam. Instead, President Ngo Dinh Diem enlisted U.S. support to oppose Ho Chi Minh’s Communist agenda. The Vietnam War stemmed from a decades-long conflict that started with 19th-century French imperialism. Vietnam was under French administrative control when Japan invaded during World War II, spurring revolutionary forces under Ho Chi Minh’s leadership to launch a resistance movement against both opponents. Emperor Bao Dai gained control after Japan withdrew, causing the League for the Independence of Vietnam, or Viet Minh, to mobilize against the French-educated leader. Ho Chi Minh idealized the Communist principles of China and the Soviet Union, and he seized Hanoi as the center of his new regime. With French support, Bao established Saigon as the capital of South Vietnam. However, France was never able to regain the northern territories of Vietnam, and Bao was eventually deposed by Ngo Dinh Diem. Despite the Viet Minh’s revolutionary goals, Ngo Dinh Diem’s corrupt rule and lack of popular support, the United States offered military and financial resources to South Vietnam to prevent the rise of another strong Communist regime. The Vietnam War began as a civil conflict that pitted the North Vietnamese Communist government and the South Vietnamese Communist rebels known as the Viet Cong against the non-Communist South Vietnamese government. The plan was to overthrow the South Vietnamese government and unite Vietnam as a communist state. Why did the United States get involved in Vietnam? The United States got involved in Vietnam to prevent the spread of communism throughout Southeast Asia. The domino theory, prevalent in the U.S. government, posited that if Vietnam became communist, it would lead to communist conquests of surrounding countries; victory in Vietnam was crucial to stopping the communist expansion. Involvement of the United States gradually grew from helping France with supplies and munitions to sending advisers to aid the South Vietnamese military. Under President Eisenhower, there were 900 U.S. advisers in South Vietnam. By the Kennedy presidency, the number of American military personnel had grown to 16,000. The Gulf of Tonkin incident in 1964, when North Vietnamese gunboats allegedly fired upon U.S. destroyers, prompted Congress to pass the Gulf of Tonkin Resolution, enabling President Johnson to expand U.S. involvement without a formal declaration of war. Operation Rolling Thunder followed and was a vast bombing campaign against North Vietnam. Soon after, the United States committed ground troops to protect Air Force bases. The U.S. sent its first wave of troops to Vietnam in March of 1965 and, by 1968, more than 540,000 troops were stationed throughout the area. The troops remained in the area until President Richard Nixon began ordering their withdrawal in 1969. The United States became involved in military combat against the North Vietnamese in 1965. As part of a larger strategy to contain communism, the U.S. objective in Vietnam was to prevent a Communist takeover of South Vietnam. The objectives of the U.S. were never achieved, and the American public was disillusioned with what became the longest war in American history, as of 2014. Direct U.S. military involvement in the war ended in August of 1973 with the passage of the Case-Church Amendment. What happened during the Vietnam War? The Vietnam War was fought in an attempt to stem the communist rule of Vietnam; it did not succeed in its objectives despite the massive loss of life for both South and North Vietnamese and the United States, who stepped in to try and prevent Communist rule in the region. The Vietnam War formerly held the title of the longest war in U.S. history until the war in Afghanistan. Despite military intervention by the U.S., the North Vietnamese was able to overtake the South Vietnamese and the Vietnam War ended. What was the Tet Offensive? The Tet Offensive was a major military assault on South Vietnam by North Vietnamese and Viet Cong troops during the Vietnam War in 1968. Both South Vietnam and U.S. military forces suffered massive casualties, and the assault had severely detrimental effects on civilian support for the war in the United States. The Tet Offensive was intended to cause a debilitating and decisive blow to U.S. and South Vietnam forces in the hopes that the United States would withdraw from the war. It was also intended to stop or reduce damage caused by guerrilla attacks from South Vietnam forces. During the offensive, over 70,000 Viet Cong and North Vietnamese troops simultaneously attacked highly populated areas in South Vietnam occupied by large numbers of U.S. military forces. The assault lasted through several phases, and resulted in heavy casualties on both sides, as the Viet Cong and North Vietnamese pushed into the U.S and South Vietnamese territory. Publicity of the attack was widespread, and led to a severe lack of support for the war from the U.S. mainland, due to the rampant violence and high death toll. Despite the United States and South Vietnamese eventually repelling the attacks, anti-war protests continued to rise in popularity. It should also be noted that the North Vietnamese Army conducted summary executions and mass killings during their capture, occupation and later withdrawal from the city of Huế during the Tet Offensive, considered one of the longest and bloodiest battles of the Vietnam War. The Battle of Huế began on January 31, 1968, and lasted a total of 26 days. During the months and years that followed, dozens of mass graves were discovered in and around Huế. Victims were South Vietnamese POW’s, politicians, teachers, their families – including women, children, and infants and anyone else supporting the South Vietnamese Government. The estimated death toll was between 2,800 and 6,000 civilians and prisoners of war. The Republic of Vietnam released a list of 4,062 victims identified as having been either murdered or abducted. Victims were found bound, tortured, and sometimes buried alive. Many victims were also clubbed to death. What were the protests against the Vietnam War? The protests against the Vietnam War were a series of demonstrations against American involvement in the conflict between North and South Vietnam. Protests were initially peaceful and included sit-ins or teach-ins or marches, but they eventually erupted into violence. Initially, disapproval of American involvement in Vietnam circulated primarily through academic circles in which American motivation for involvement was questioned. As American involvement continued, more people became disillusioned over the number of soldiers being killed or injured, and there was an increase in the number of troops dedicated to the cause. Americans began to see the situation as a war that could not be won. The Vietnam war was the first conflict involving the United States that was widely covered by television media. Enough American households had televisions to affect American sentiment, particularly in regards to the violence occurring during the war. As the war progressed into its fourth year, a number of soldiers who had been wounded in Vietnam brought to light the poor treatment of injured veterans when they returned to American soil, which further drove protests against Vietnam. Government records reflecting initial fears about the United States government’s true motivations for involvement were made public in the early 1970s, becoming the final straw for the vast majority of Americans who still supported the war. How many people died in the Vietnam War? There were 1.4 million casualties during the Vietnam War. This number accounts for casualties on both sides of the conflict. Over 2 million soldiers of both sides were wounded in the war but not killed. The United States deployed over 2.5 million soldiers to the Vietnam War and lost 58,220 of those soldiers. An additional 303,644 American soldiers were wounded during the war. The number of soldiers under 20 years old who were killed in action is 11,465. There were over 4 million civilian casualties on both sides during the war. Despite these figures, 74 percent of veterans say they would have served in the war again. Other countries also suffered casualties in the Vietnam War: New Zealand lost about three dozen soldiers, Australia lost more than 500 soldiers and South Korea lost 3,000 troops in the war. What are some popular Vietnam war stories? Popular Vietnam war stories include the story of the Battle of Ia Drang and the story of Roy Benavidez risking his life to save his comrades in Cambodia. 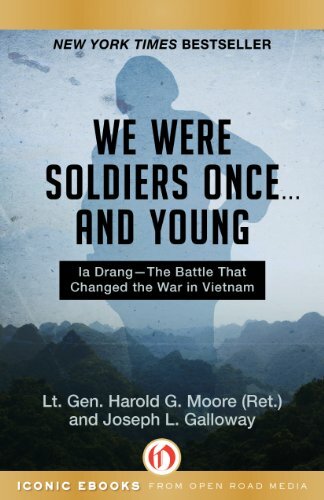 The book “We Were Soldiers Once…and Young: Ia Drang – The Battle That Changed the War in Vietnam” is about the Battle of Ia Drang, while “Legend: The Incredible Story of Green Beret Sergeant Roy Benavidez’s Heroic Mission to Rescue a Special Forces Team Caught Behind Enemy Lines” is about Benavidez. Roy Benavidez’ story occurred on May 2, 1968, when he heard a 12-man Special Forces group request help over the radio, as about 1,000 North Vietnamese soldiers surrounded them. Benavidez got on a helicopter and jumped out with only his medical bag and a knife. Benavidez saved at least eight men during the experience, which he later called “six hours in hell.” He received 37 wounds from a combination of bullets, bayonets and shrapnel, and multiple doctors declared him dead afterwards. Unable to move, he spit on a doctor’s face to show that he was still alive and later recovered at a medical center. He received the Congressional Medal of Honor for his actions that day! During the war, the U.S. military used a concentration of Agent Orange that was roughly 50 times stronger than that recommended by manufacturers for use in killing plants. This turned out to be problematic, because a chemical component of Agent Orange, dioxin, is a highly dangerous contaminant. Decades after the use of Agent Orange in Vietnam, the dioxin still affects American Soldiers and the Vietnamese people, causing cancers, birth defects, and other disabilities. Estimates by The Red Cross indicate that 3 million Vietnamese people have felt effects from the presence of dioxin in Agent Orange. There are no firm numbers of U.S. soldier disabilities, however, estimates are that about a third of those who served in-country are affected. As of 2016, there were approximately 8,968,000 living era veterans who served during the Vietnam war. They are the largest group of veterans in the United States. Of the 2,709,918 Americans who served in Vietnam, about 810,000 have since died, leaving roughly 1,750,000 Vietnam Vets alive today, with the youngest American Vietnam Veteran’s age approximated to be 60 years old. It is also estimated that about 141,000 Vietnam Era Veterans die every year – 35,000 of them being Vietnam Vets. The numbers are expected to rise significantly in the future as this group enters “Retirement and Old Age,” a period of time when many deaths normally occur from natural causes. However, disabilities caused by Agent Orange will cause many more of us to die before our time. The internet continues to report that only 800,000 Vietnam Veterans remain alive in 2010. This myth was debunked by a report in the VVA Veteran Magazine in March 2011 which used information from the 2000 and 2010 government census reports to generate the numbers indicated in this article. What were the consequences of the Vietnam War? In addition to the untold consequences for military families due to the massive loss of 58,000 American lives during the conflict, the Vietnam War led to the end of the military draft in the United States, a reduction in the voting age to age 18, restriction of a sitting president’s ability to send military forces into combat, weakened and undermined morale among the U.S. military and caused damage to the American economy. In addition, the Vietnam War caused divisions in the Democratic Party and caused Americans to be suspicious of their government. Returning soldiers fared little better, with an estimated 700,000 Vietnam veterans suffering from the psychological after effects of war. The effects of Agent Orange also contributed to the death of thousands of U.S. soldiers who left this world way before their time. And yet others, remain disabled and continue to suffer today from those diseases attributed to the defoliant. The impact on Vietnam was dramatic. The war caused the complete destruction of its infrastructure and thousands of its people were killed. 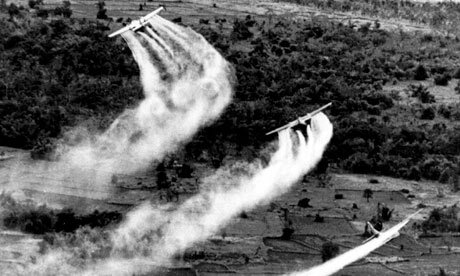 Chemical warfare polluted much of its farmland. After the U.S. pulled out of Vietnam, the North Vietnamese began to massacre thousands of Vietnamese from the South. Vietnam had to go on to fight wars against both China and Cambodia before it secured its independence, and today it remains one of the world’s poorest nations. Data obtained from Reference.com/Vietnam War/VVA Veteran March, 2011/Wikipedia (Massacre at Hue). I am enjoying “Cherries” I was a pilot with the 19th Air Commando Squadron in Saigon. Flying C-123K model airlift/cargo aircraft. We were re-designated the 19th Special Operations Squadron about half way through my tour. Our Special Operations missions included troops, cargo, mail, rations and ammunition etc. We also carried mercenaries who were paid for by the US Army. South Koreans, Philippines, Australians and little is known about the Cambodian troops who also participated as paid troops by the US Army. These Cambodian troops were taken into areas close to the border of Cambodia particularly around the “Parrots Beak” near Tay NInh. I and our squadron would drop them off at forward operating bases and pick them up a few days later. After the war I worked in real estate sales and rentals in Arizona. I had one of the Cambodian troops who escaped Pol Pot killing fields tell me his story of escaping His name is Prahn. He and I talked about some of the missions that I and it turns out he also was one of the troops that I carried into the fight. Prahn came to America as a refugee and established himself as a model citizen. His family two boys and a daughter along with his wife rented from me and eventually I sold him his own home which was part of his American Dream. There is more to tell about his and my relationship but I have an appointment and will add more later. Thank you, sir! I am glad that you’re enjoying Cherries! As for your stories, would you care to donate one of them to publish on my website as a guest blogger? Especially if you have pictures to compliment the story. Just what you’ve written above is interesting. I look forward to hearing more. Good, informative article, but the Huey photo used is an aircraft that never flew during the war. What is shown is a twin engine, 4 bladed model, built well after we left. We flew single engine, 2 blades in VN. Please update the photo if you want to be more accurate. Signed, a Dustoff pilot. Wilco, sir! Thanks for the info! I appreciate your Vietnam facts and your post was very informative. We need to work and band together to make sure that everyone of the politicans that are Washington DC’s representation who WILL assist and support all the US Veterans for all Wars. Maybe we need to take all the House and Congress personnel to be made to walk in all Military Veterans’ Boots and for everyone of them to experience first hand the front line and face daily “life and death situations” that deals withg combat in every perspectives! We can pray that some will see through Combat Warriors’ Eyes and all the horrors that are experienced by the Wars as a result of their political decisions. Good information for high school study. Let’s make sure none of our young ones are not educated on any of our nation’s conflicts! Very comprehensive and well-written article. I wonder about your last paragraph, however. You stated that “the war caused complete destruction” of Vietnam’s infrastructure. I believe we left a lot more infrastructure than was destroyed. We built several air bases that now serve as busy airports within the country, including Phu Bai at Hue, Da Nang, Chu Lai, Phu Cat in Binh Dinh, Pleiku, Cam Ranh, Bien Hoa, and Can Tho, as well as the enlargement of Tan Son Nhut in Saigon. We built several deep water ports, including Da Nang, Chu Lai, Tuy Hoa, Cam Ranh, Saigon, and the enlargement of the existing ports at Qui Nhon and Vung Tao. We constructed 3,198 km of highways and associated bridges. You stated that Vietnam had to fight subsequent wars in Cambodia and China “before it secured its independence”. I think you could say that Vietnam (in two parts) had independence since 1954, and reunified the country in 1975. The two subsequent wars were to secure its borders. You stated that Vietnam is one of the world’s poorest nations. According to the CIA’s World Facebook, Vietnam is 36th out of 230 countries in terms of GDP (PPP). Its growth rate stands at 20th out of 225 countries. The percentage of its citizens below the poverty line is 11.3% compared to 15.1% for the USA. Vietnam is now considered to be a “lower-middle-income country” by the World Bank. I served with the U.S Navy Officer-in-Charge-of-Construction RVN in 1971-72, managing 21 construction contracts to Vietnamese contractors from Da Nang down to Vinh Long in the Delta. I have now lived in Ho Chi Minh City since 2006. Thank you, Mel! Your commentary is most appreciative! Cambodia and Laos is west of Vietnam not east as in your 2nd question! Thank you James! I’ve made the change. I think it’s ignorant, political, and so devoid of fact, it should be deleted. It reads like something lifted from the State Department archives. This piece is an insult to history. My wife bought 2 of your books ,cherries and when can I stop running. My name is David E.Gutierrez E-4 Vietnam 68,69&70. I am enjoying reading the books, I am 69 years old and glad to still be here, enjoying my family and thanking God every day.